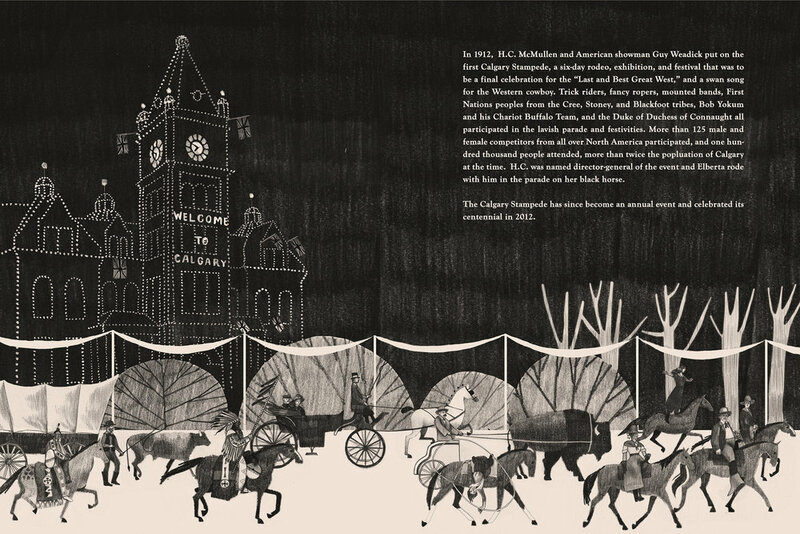 I wrote and illustrated the story of my great-grandmother Elberta McMullen, champion rider in the first Calgary Stampede of 1912 and daughter of its founder, who disappeared from our family tree for 85 years after a family scandal. Produced with assistance from the Calgary Stampede Historical Archives, the Whyte Museum of the Canadian Rockies, and the historical archives of Calgary, AB, and Vancouver, BC. Winner of a gold medal from 3x3 Illustration Annual No. 13.